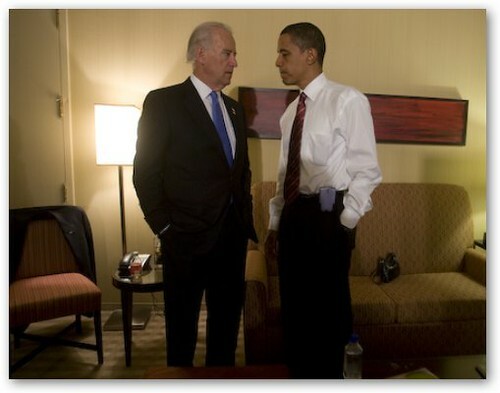 On election night, Barack Obama gathered with his family to await election results in a Chicago hotel room. 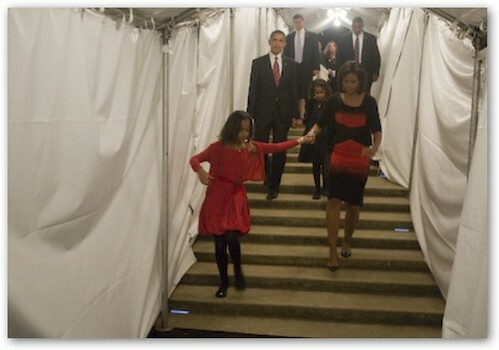 In candid photos released on Flickr, Obama is seen in the hours and minutes before the victory announcement with his wife, Michelle, and daughters, Malia and Sasha, circled around a TV set. In the aftermath, he is seen tensely watching the results and finally celebrating with running mate, Joe Biden, and other campaign staff. Perhaps the most interesting image of the night is a photo of President-elect Obama on the phone only minutes after his victory is declared. It's the third image down. Might that have been McCain calling to concede? Also, what's in the mystery package wrapped in a ribbon on the table in front of his daughters? If any amateur photographers were wondering, the Obama campaign photos were all taken with the Canon EOS 5D digital camera. All photos in chronological order. Obama on Phone with McCain?